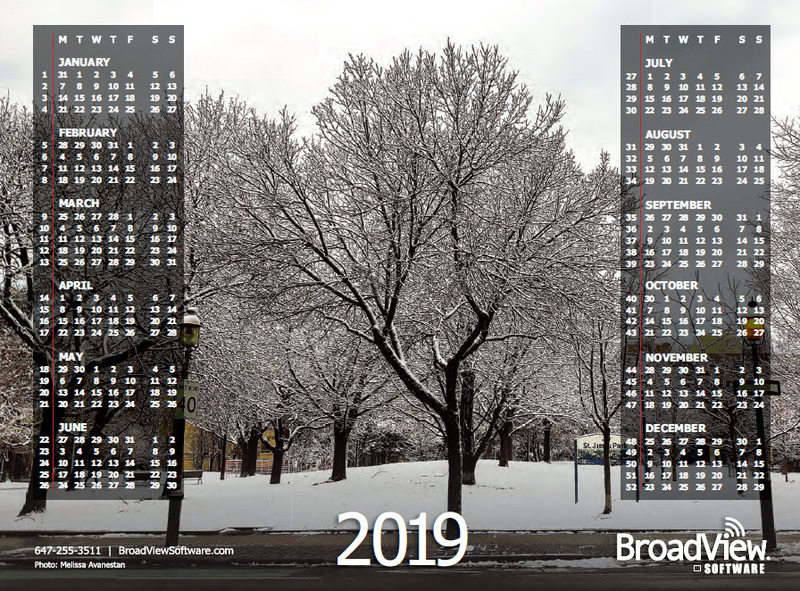 The BroadView 2019 Broadcast and regular calendars are available for download. 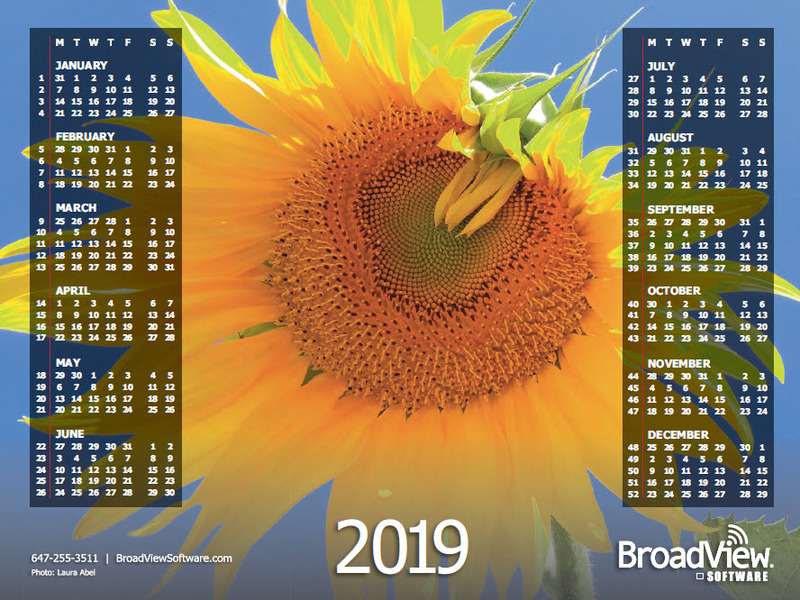 With the New Year fast approaching, we thought you might enjoy a little something to help make planning for 2019 a bit easier. Below are downloadable broadcast calendars to assist you in all of your scheduling endeavours. Just click on the photo to download. 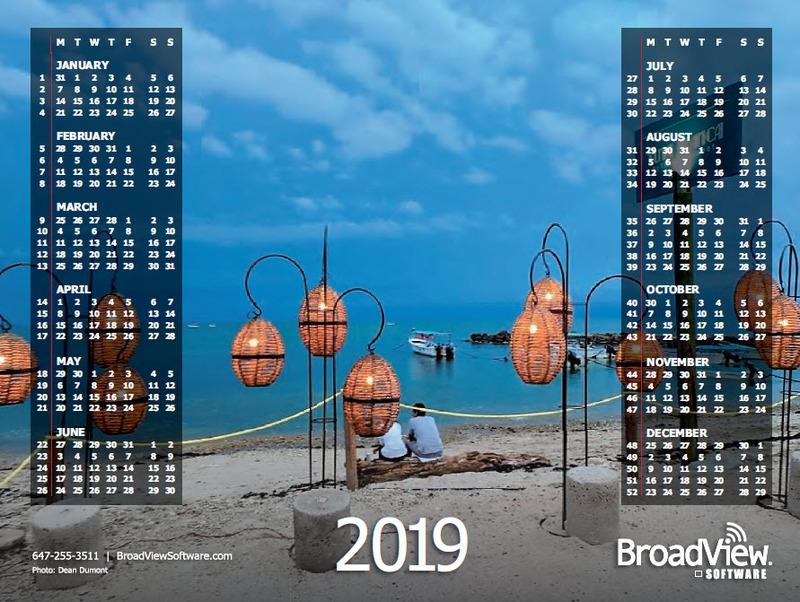 The photographs featured each year on our calendars are taken by BroadView staff, many of whom are passionate, keen photographers who never travel very far without their cameras. This year, their photographic endeavours include colourful, enchanting and eclectic local and international landscapes and architecture and the beauty of our natural world. We hope you enjoy them as much as we enjoy producing them for you. Our best wishes to you and your families this holiday season from all of us at BroadView Software. 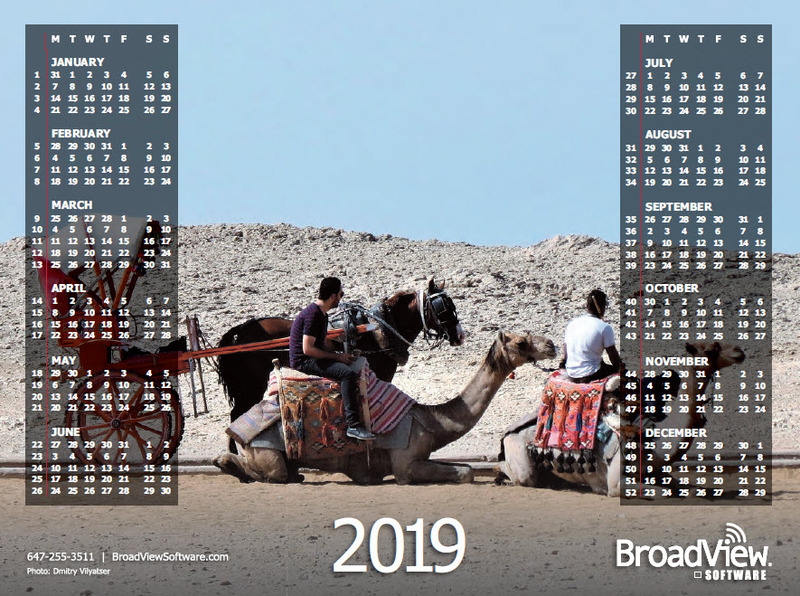 We have prepared a few non-broadcast or regular calendars.